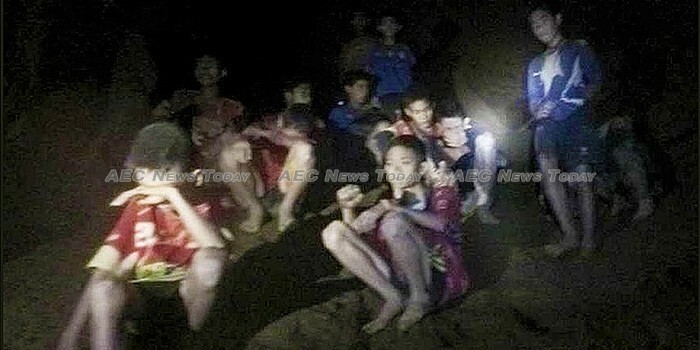 It was announced a little before 11pm on Monday, July 2 that all 13 members of a rural Thai football team trapped for the past ten days inside a flooded cave in northern Thailand had been found alive. The exact medical condition of the 12 boys aged between 11 and 16 and their 25-year-old coach was not immediately known. 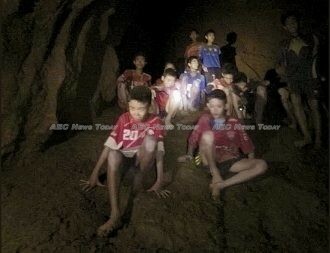 The team, members of the Moo Pa (Wild Boar) Academy Mae Sai football team, entered Tham Luang cave in Mae Sai district of Chiang Rai Province in northern Thailand on Saturday, June 23 as part of their training. Heavy rain in the area saw the cave rapidly flooded. For the past ten days more than 1,000 military and civilian officials, along with specialist volunteers, have scoured the exterior of the mountain housing the cave, while inside a desperate battle against flood waters has taken place. Led by the Thai Navy Seals, an international contingent of cave diving and rescue specialists from the UK, US, China, Myanmar, Lao PDR, and Australia have fought to overcome rapidly flowing water in the cave to get to the location where they were found, some three kilometres (about 186 miles) from the entrance at a location known as ‘Pattaya Beach’. As massive pumps transported from outside of Bangkok, together with the diversion of a primary water source leading into the cave, have succeeded in lowering the water level in the multi-chamber complex, underwater divers have been able to inch their way forward. 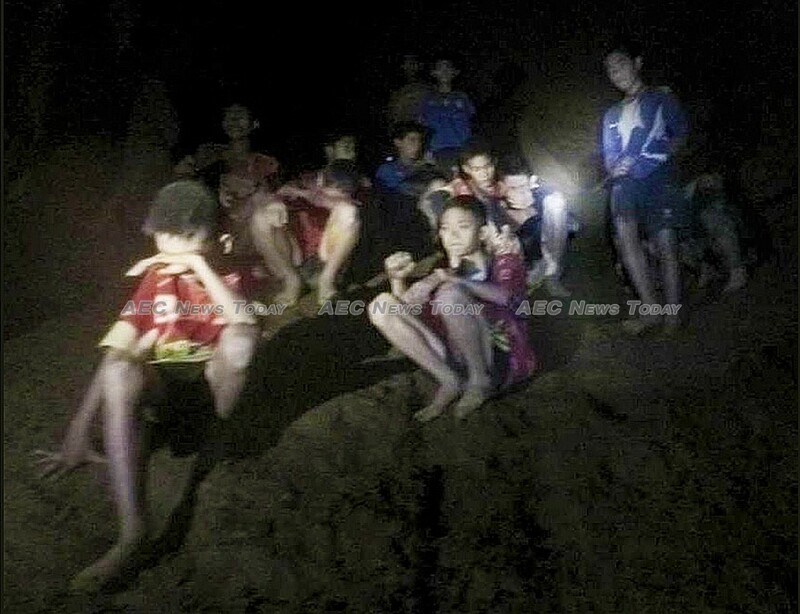 Early this evening it was reported that the lead Thai Navy Seal team was about 500 metres (1,640ft) away from where they hoped to find the team, their way obstructed by tight passageways that required demounting their equipment. Shortly before 11pm Chiang Rai governor Narongsak Osotthanakor announced that a team of divers led by specialists from the UK had reached ‘Pattaya Beach’ and that all members of the team had been found alive. As can be seen from the video above supplied by the Thai Navy Seals the 13 members of the team appear to be in remarkably good shape. Thailand’s only Seal certified doctor will dive to the cave to examine the boys and the coach, while special hi-energy meals have been prepared to nurture the team back to health before attempting to extricate them from the still flooded cave. However, rescuers are racing against the clock with weather forecasters warning of more rain on its way in the next 36 hours.